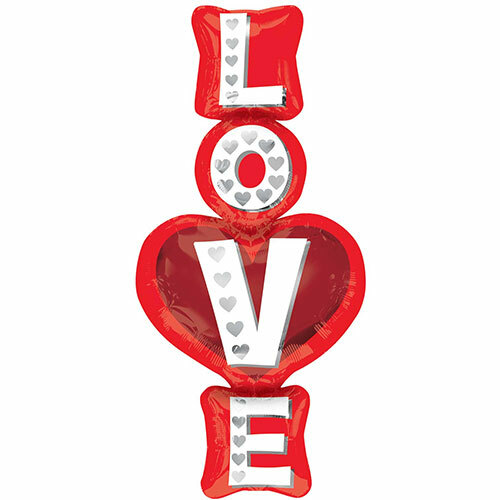 Love Stacked Valentines Day Supershape Helium Foil Balloon 99cm / 39Inch Sold: Single Approx Inflated Size: Height: 99cm / 39Inch Width: 50cm / 20Inch Material: Foil Suitable for Helium Gas Inflation. Helium gas cylinders sold separately. Balloon delivered flat.